Beautifully located in the heart of Vietnam’s capital, Meliá Hanoi welcomes all who are looking for splendid accommodation, first-class facilities, and warm service. Luxurious rooms and a wide array of facilities, from a state-of-the-art business center to an outdoor swimming pool, make the hotel a perfect choice for business or leisure. The Meliá Hanoi also offers diners a world of culinary delights to explore, from the international themed buffets of El Patio to the local flavors of El Oriental. 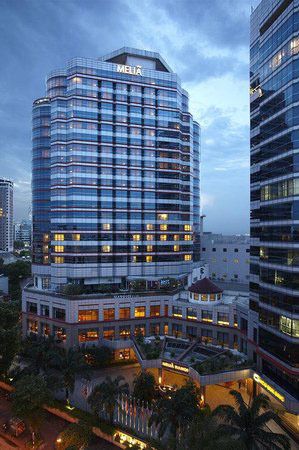 Strategically located in Hanoi, the hotel stands a short distance from many key districts and major attractions such as the Hanoi Opera House, Old Quarter, Temple of Literature, and Ho Chi Minh Mausoleum. Celebrating the nation’s rich culture and traditions, including the natural wonder of Ha Long Bay, the hotel’s tour desk offers guests many ways to explore Vietnam.